Although you might cuddle up at night dreaming about adorable piglets suffling through the woods in search of tasty (and pricey!) truffles, the truth is that Fido is leading the pack when it comes to foraging the fabulous fungi. 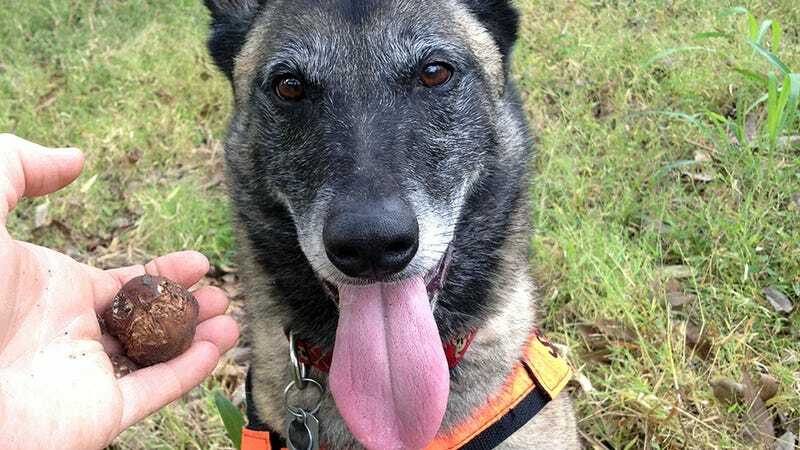 Dogs are roaming all over Oregon, trying to sniff out the crème de la truffle crème. Seeing as prices can go as high as $2,000 per pound for some harder to find fungi, I'm packing up my pit bull and hitting the Oregon truffle trail.